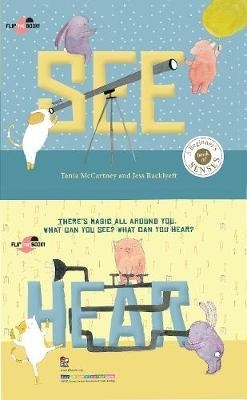 This is a sweet picture book about the senses of sight and hearing. Its novelty flip-the-book format and simple but effective language, makes this ideal for pre-schoolers. We meet a cat, a rabbit and a piglet who happily go about their daily lives. They are super cute animals but also very observant. See begins as the front with colourful illustrations of many things we can see. Squiggly rain, crawling spots on a ladybird, lacy flutters of snow and many more. It is a lovely introduction to the senses with a simple message to take time to look around and really look at everything there is to see. Once you get half way through, you can flip the book and have another lovely story to read. Hear is the story from the back with a focus on the things we can hear. We can hear songs and laughter, food sizzling and cats purring. Everyday things are there if only we take time to listen. All we have to do is stop a moment and look around. A hedgehog discovers something strange lurking in the hollow of a tree one day. Not knowing what the mysterious creature could be, hedgehog wanders off seeking help from his woodland friends. 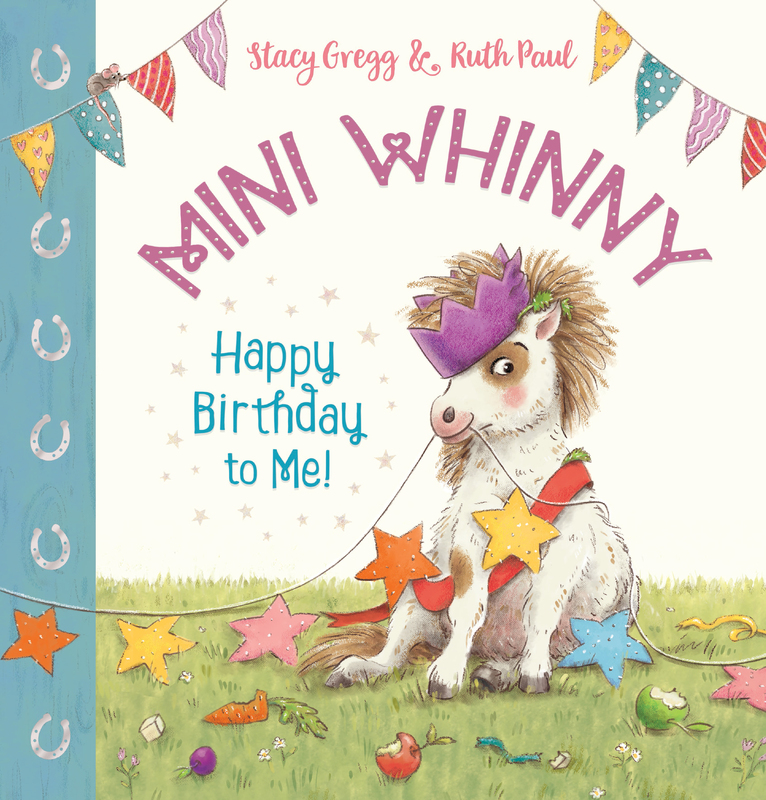 This delightful picture book is the well-deserved winner of the Joy Cowley Award. It offers good rhyme and rhythm and is supported by delightful illustrations in natural settings. The forest floor and its autumnal scenery provide a perfect backdrop to the story. The animals work well together trying to discover what the creature could be. A good choice to read in class when discussing teamwork and friendships. For observant readers there are clues in the illustrations as to what the creature may be, adding yet another level to this gorgeous picture book for young readers. Definitely one to share again and again. In the first book Here comes Mr Postmouse author and illustrator Marianne Dubuc introduced us to the daily routines of Mr Postmouse as he delivered letters and parcels to animal folk everywhere. 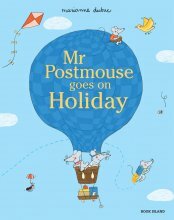 In this second book we find Mr Postmouse and his family; Mrs Postmouse and children, Pierrot, Pipsqueak and Lulu taking a holiday all over the world. As we move through the pages we meet lots of animals and visit many different places. I particularly love the ladybugs and all the rosy cheeks of the animals and small creatures. Family is important here with even the youngest of the mice sharing responsibilities helping to make the holiday the best it can be. The large portrait size picture book is great for sharing and with it’s bright and busy illustrations it is not difficult to find yourself spending quite some time pointing out the different animals. There are sloths, frogs, tigers, even penguins and polar bears to search out and enjoy a conversation over, with young ones. A good book to share. Nine funny dogs live their everyday lives in these pages where you can learn all about seasons, colours, food, town and country, night and day, school and work, and much more—including dog breeds, of course. Have you ever wondered what dogs do all day when you are not at home. 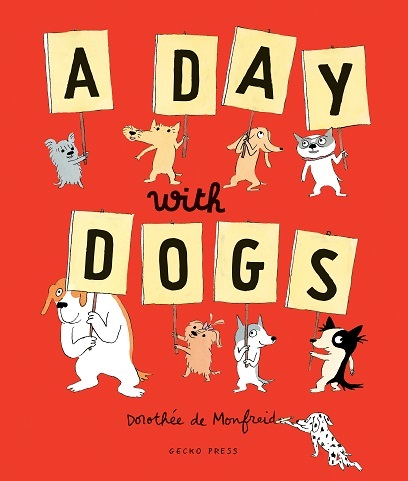 Dorothee de Monfreid’s lovely new picture book will answer all your questions. Take a walk through the pages of this hardback picture book for young readers. A quirky look at the antics of various species of dogs will encourage children to learn the names of different household items, or things at school or just out and about town. This is also ideal for those children and students whose first language many not be English. Each double page has a bold title with images from a specific area. I love the bathroom scene with all the dogs in stages of cleaning themselves even down to the puddles on the floor. What a lovely wee gem of a story. 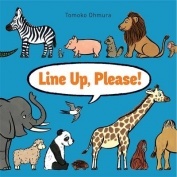 All the animals are standing around in a queue. Some are waiting patiently just talking to each other while some are annoying each other. Their host is bird a gorgeously intuitive creature, trying to keep the peace as they wait in line. When the animals finally get to the front of the line they are in for a wonderful surprise and so is the reader especially when the pages open up wide and double the length of the view. This is a book to read again and again. It is perfect for pre-school but also great at primary school for having fun with maths. The animals are named and numbered counting down from 50 to 1. The illustrations are bold, birght and curious, without distractions, so that each character is the centre of attention. Do look out for it – perhaps one to get for Christmas!